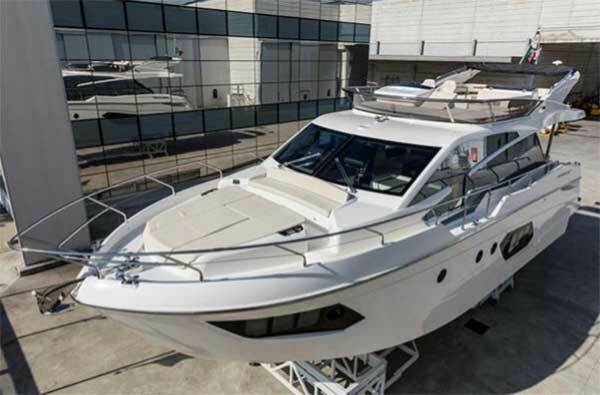 Absolute Yachts launched the Absolute 50 Fly, a new model within the Absolute Generation 2017. It’s IPS-600 systems provide ideal performance, low consumption, silent movement and absence of vibration. The accommodation is designed for more than six guests. The volume and surface dimensions of this unit show an optimization of the indoor spaces with Italian design. Liveability is easier thanks to the sliding doors, the rounded edges of the furniture, the linear of the beds and the easy design of the floors, with few steps and no differences in height. The sleeping area includes three cabins for six guests. 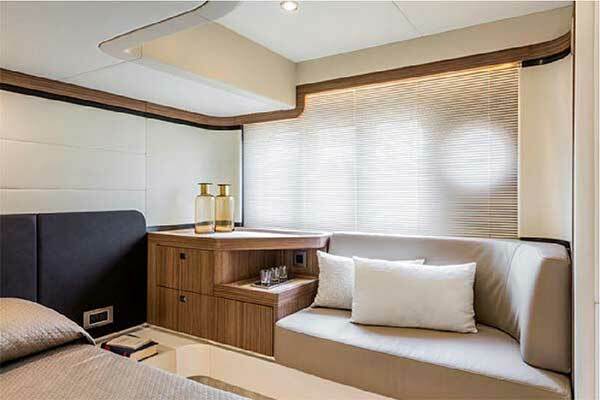 The fourth aft cabin can host both an expert sailor and a gues, thanks to the en-suite toilet, the level of finish, the liveability of the space and the independence. 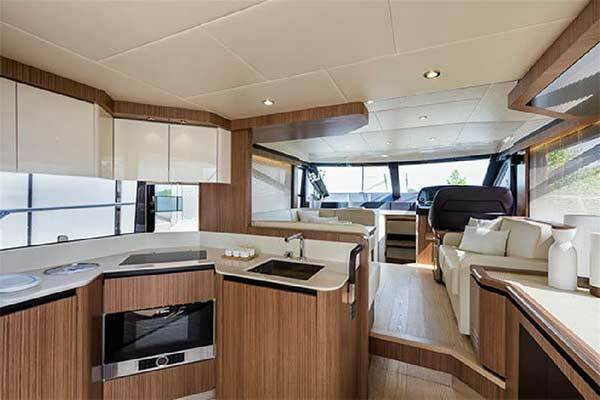 While the inner kitchen has a dishwasher, oven, cabinets for provisions and fridge with freezer (a total of 217 litres), the living area offers a continuous sea landscape view. This area is separated from the galley with an electrical sliding glass. In the outdoor spaces, there are three different sunbathing areas. An electrical privacy sunshade offers protection from prying eyes. 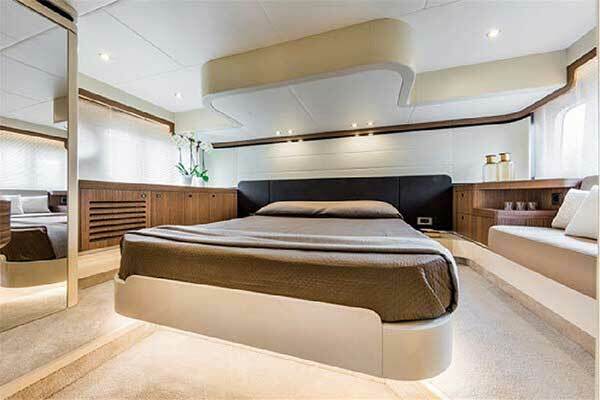 From a structural stairway, access to the flybridge area hosts a main sofa with dining room table, a side sofa and a further sunbathing area with three single reclining backrests, is available. In addition, the wet bar includes sink, BBQ grill, icemaker and fridge: a chance to use the outdoor space as a lunch area. 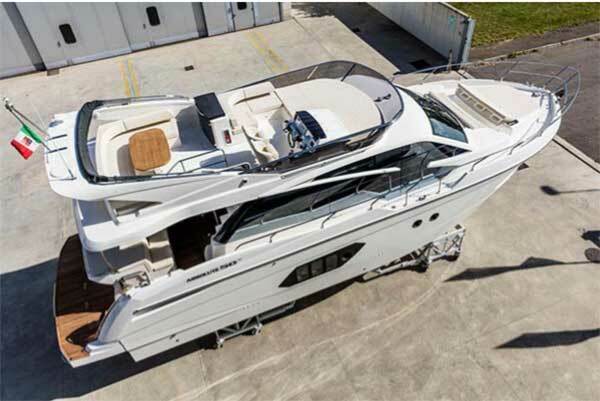 Comfort also marks the space for the captain, whose driving seats (both internal and flybridge) can have the double adjustable and reclining seat.